In the intricately networked web world, the role of a brick & mortar, public access media center is a work-in-progress. What are the key ingredients to be a relevant and sustainable community resource? This is a series of podcasts sharing best practices and advice for community media center advocates, managers, staff, producers, and volunteers. It features interviews with leaders in the field who share their expertise and perspectives. You can visit the page for each person and either listen to the full interview or to particular clips. Sean McLaughlin is an educator, media access advocate and non-profit executive. 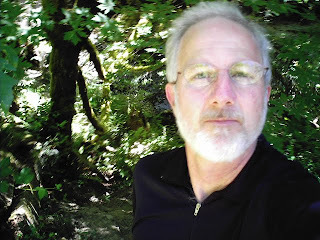 In 2006, he became the first executive director for Access Humboldt , a community media organization providing local access channels, broadband network connections, digital media production resources, training and support in Humboldt County, California. McLaughlin is a policy wonk – he has published articles, provided expert testimony before legislative and regulatory agencies, and participated in international conferences. Previously, McLaughlin was the first chief executive officer for Akaku: Maui Community Television. 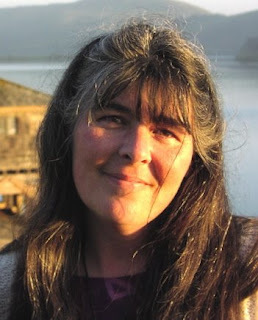 In this interview, McLaughlin describes the ways that Access Humboldt has increased the value of Access Humboldt to the rural communities it serves by creating wireless broadband connectivity for people who would otherwise be "off the grid." McLaughlin also talks about an innovative, affordable approach to providing video on demand, and other innovations. Listen to the interview here. A log of the interview (appearing just below) will tell you about specific sections of the interview and where to find them. 0:00 – 7:55 Access Humboldt comes up with a way to leverage its I-Net and create wireless services to an outlying rural town. 7:55 – 11:45 How a dynamic public-private collaboration took form to make it happen quickly. What’s still to be added. 11:45 – 14:55 Feedback and subsequent broadband projects. 14:55 – 18:15 Why the push for broadband access fits right into the Access mission. 18:15 – 22:15 As a new access center in the digital era, how did it affect the planning for services? 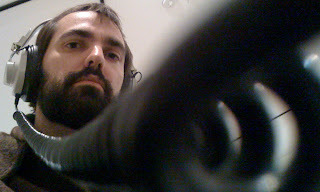 28:45 – 31:30 Sean’s roots in Access TV and the first video he produced that demonstrated its potential to build bridges. Tony Shawcross is the Executive Director of the PEG facility in Denver, CO. He developed and launched the visionary - and provocative model for community media that has evolved into the Open Media Foundation. The Open Media Foundation replaced the previous PEG nonprofit and receives a much smaller funding package from the city. Before founding Deproduction and Denver Open Media, Tony worked with Little Voice Productions, the Colorado State House of Representatives, the Pan African Arts Society and FreeSpeech TV, among others. In this interview, Tony talks about innovative ways to empower access users and eliminate some of the gates that are still in place with our traditional operations. He describes the work OMF (previously Denver Open Media) has done to build a Drupal web site in collaboration with other media centers that feature modules unique to PEG operations. The project is funded by the Knight Foundation. In Denver it has allowed the PEG operation to do more with less city funding. Listen to the interview here. The interview log is listed just below. Keep reducing the "gatekeeper" role on citizen generated media. Look at the "Wikipedia" model. Membership; Beta test of drupal functions and eventual online program exchange. Internet literacy and "digital divide"
Details on the Knight grant to create drupal web site template for any PEG media center; more about the specific modules. The advantages of having come out of a computer technology center (CTC) background; facing the challenges of PEG operations with decreased funding. Advantages of open source; competitive advantages of nonprofit community media. When will we know we succeeded? A 1981 graduate of Ohio University (Athens, Ohio), Laurie has been working in noncommercial media for nearly 20 years, first in public broadcasting fund development (The WOSU Stations, Columbus, Ohio) and then in community media. She has been an executive director of PEG operations since 1993. In 1996 she relocated to California to undertake the role of Executive Director of a new PEG access start-up media center in Santa Rosa. During this period she took on regional leadership roles in the Alliance for Community Media (ACM), co-authored the ACM Access Start-up manual and provided advice and consultation for numerous access organizations. Currently, Laurie is Executive Director of the Grand Rapids Community Media Center, where she leads a staff team providing services in public access cable, community radio, and nonprofit IT support and web development. GRCMC also owns and operates a 100 year historic venue infused with modern media technology. In this interview Laurie provides a wealth of examples of best practices in PEG media operations and the philosophy that underlies her initiatives. Listen to the full interview. Laurie recounts her "first brush" with community TV and why it drew her in. Laurie lists the key ingredients for success in a community PEG media center - beginning with attitude. How does a community media center incorporate the internet into its "toolbox?" What changes and what stays the same? Laurie describes how GRCMC helps its users with different media tools and pathways depending on the communications needs they have. Listen to this clip! It's the key to Laurie and GRCMC's approach to its users. Hiring decisions as Media Centers expand their roles. What are some of the new classes at GRCMC? Nonprofit agencies are a key constituency at GRCMC. Here's a taste of how they use the media center. With a Knight Foundation grant, GRCMC is setting up a major citizen journalism project. Learn about the concept, the tools, the training, and the vision. How might a PEG-related citizen journalism project interact with the commercial media outlets in Grand Rapids? How might a media center without a Knight grant go about implementing citizen journalism? Laurie describes an earlier project she engineered at Santa Rosa's media center that was an innovative way to accomplish many goals at once. Laurie describes two other grant funded projects at GRCMC. Each could be replicated in other locations. Laurie offers some advice for PEG grant-seekers. Laurie sums up her recipe for PEG media center success. Bridging the Digital Divide program, NeighborMedia, Computer CENTRAL and other community media & technology projects. He also teaches many of CCTV's web media courses. Colin received his M.A. in Visual and Media Arts from Emerson College, where he wrote his Master's Thesis on the intersection of PEG Access Television and the Social Web. Colin's blog can be found at http://colinrhinesmith.com. You can listen to the entire interview or listen to individual subclips that appear below. Please consider leaving a comment or a question and subscribing to the discussion. Colin talks about his previous work and how he arrived at a community media center. Colin describes how the internet has changed the role of CCTV. Colin describes new classes and services that go beyond cable TV program production at CCTV - most of which have come about because of potentials generated by the internet. Colin describes the exciting citizen journalism enterprise at CCTV called "Neighbor Media." Colin describes the training CCTV gives to Neighbor Media participants. Colin explains the multiple functions and functionality of the Drupal-based CCTV web site. Colin explains how the CCTV web site is set up to gather "Cambridge-centric" media from other sites on the web. CCTV is trying to figure out ways to outreach to folks already publishing on the web, that may not know of the media center resources. There are drop-in hours every week at CCTV just for figuring out web 2.0 applications and destinations. Colin's thesis is that there will always be a need for "brick and mortar" media centers. For the past 35 years, Sue Buske has represented local governments, citizens, and community organizations in their interactions with cable companies. Ms. Buske is widely recognized as one of the leading experts in the United States on cable policy and local cable programming issues. She is one of the pioneers of public access TV having participated in the training for Access Directors organized by George Stoney and Red Burns at the Alternate Media Center in 1972. She has received numerous national awards, including the George Stoney Award for Humanistic Communications. An award bearing her name, The Buske Leadership Award, is presented annually by the Alliance for Community Media to persons providing outstanding leadership in the field of local cable programming. Ms. Buske’s alma mater, the University of Wisconsin at Platteville, selected her to receive a Distinguished Alumnus Award in 2000. Sue recounts how she first got involved in public access TV via an ad in the NY Times. Sue remembers the training she got at the Alternate Media Center with George Stoney and the other pioneer Access-Directors-to-be. Sue describes the environment and the mission in her first months as a public access manager in Dubuque, IA. Sue's memories of the first shows in Dubuque. You will be surprised at the gameshow Sue hosted! Sue provides an overview of the legislation that has been sweeping across state legislatures and changing the franchising process and formulas for cable TV and PEG. In the state legislation maneuvers, Sue describes the dynamics between the cable TV industry is doing with the telco industry. How are the Telcos persuading the state legislatures? What has been left behind in the new state cable franchising laws? Two states fared better than the other 18 where the cable franchising laws have been changed. Sue identifies the ingredients that led to better outcomes in the state legislatures of Illinois and California. Many PEG access centers are closing down. Can we expect this franchising paradigm shift to be played out in all 50 statehouses? Sue's opinion on what ought to happen regarding PEG and the law. Coalitions help on the local and national levels. What is Sue's answer to those who say that the internet has made community media centers and PEG channels irrelevant? What are the ingredients of a vibrant PEG center? Why makes a PEG center less likely to succeed? Throughout her career, Helen Soulé, Ph.D., has focused on providing leadership at the intersection of media, technology and learning. She has broad experience leading public and non-profit organizations, most recently as the Executive Director of Cable in the Classroom, the cable telecommunication industry’s education foundation. Previously Soulé served as chief of staff to the assistant secretary for the Office of Post Secondary Education in the U.S. Department of Education and for eight years, was director of the Mississippi Department of Education Office of Technology, with responsibilities including the statewide internet backbone, teacher professional development, state and local technology planning, E-rate, and textbooks. As former teacher and district technology coordinator, she worked with teachers and administrators at every level to use technology and media to transform and enhance teaching and learning. Soulé is one of the founders and past chairman of the State Education Technology Directors Association (SETDA), has been a member of the George Lucas Educational Foundation Advisory Board and has served on the board of the Consortium for School Networking and the International Society for Technology in Education. She is the recipient of Converge magazine's 30 "Shapers of the Future" award for 2001, a recipient of the 2001 E-School News "Impact 30 Award for Excellence", the 2004 SETDA Pioneer Award and a recipient of CableWorld’s 2007 “Women with Clout” award. Soulé holds a B.S. in Elementary Education from Mississippi State University, M.A. in Educational Administration from Mississippi State University and Ph.D. in Educational Leadership from the University of Southern Mississippi. In the first subclip, Helen points to the ACM's biggest strength and its greatest challenge. Helen says that "localism" is the key to the success and sustainability of PEG operations. It's critical that we get our message to government officials. What does a PEG staff need to accomplish? What are Helen's hobbies outside of work? 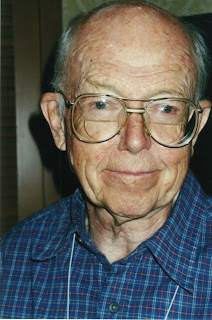 George Stoney is considered to be the “Father of Public Access TV” in the U.S. He advocated for public access channels on local cable TV systems. He trained some of the first persons to manage public access production centers. He pioneered the first national organization for PEG media centers - now known as the Alliance for Community Media. He is also a pioneer documentary film producer having started in the ’40’s. He has been a professor of documentary studies and production at New York University since the late ’60’s. In this interview he stresses the importance of making public access media centers serve the public good and increase the scope of community communications. Full interview with George Stoney. In the first clip George speaks about Challenge for Change project that influenced his concept of Access TV. Here George recounts how the Alternate Media Center was an incubator for community media. George recounts how the marriage of community media with cable TV was proposed. The city of Reading, Pennsylvania was the home of one of the first public access TV centers. George warns of the biggest pitfall for public access media centers and points to one antidote. Advice for Access TV trainers and hosts. George notes a foreshadowing of public access in his early radio work. George recounts an example of using video as a tool to resolve community tensions. George speaks about using film to shape the image of his subjects to others in the community. "Grand Rapids Community Media Center"